Today was the most insanely windy day: I left Hospital de Óribgo at about 6:15 am & the wind blew & blew & blew. 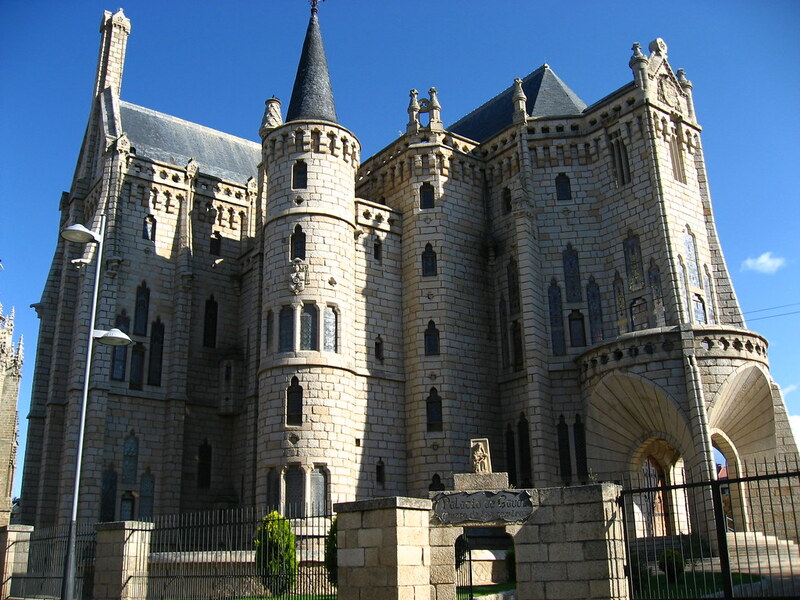 I landed at Santa de Catalina de Somoza after breezing through Astorga; I had hoped to see more of Astorga (aka the chocolate museum) but, of course, being 10am on a Sunday absolutely nothing was open. So, I kept walking. I should have kept going, but the plan was to spend one night at the famous Foncebadon & see the Cruz de Ferro at sunrise. I realize now that's just too short for a day, as was today, so I might just leave at 5am and try to see it early tomorrow. Its always strange to quit before 1pm, even if you travel far as it always seems you can do just a little more. Tonight, I had dinner with Denise from France, dear Monique from Holland and Marianne from Germany (the latter 2 whom I had dinner with at the Indian restaurant in Leon. Again it was like seeing old friends. I love Marianne; Even though we both don't speak more than a few words of each others language - somehow we totally understand each other completely despite it. Up early for an uphill walk! Gutten Nacht! Day 9: Small villages are just that.